Designing Digitally, Inc.’s new 3D Serious Games and Simulations website highlights the company’s unique and innovative design capabilities (find also my prior post Serious Games For First-Time Drivers). Franklin, OH (PRWEB) March 6, 2011 - Designing Digitally, Inc., a full-service interactive design company and virtual world developer, recently launched a new 3D simulation website. The site is designed to highlight Designing Digitally, Inc.’s 3D Serious Games and simulations development capabilities. 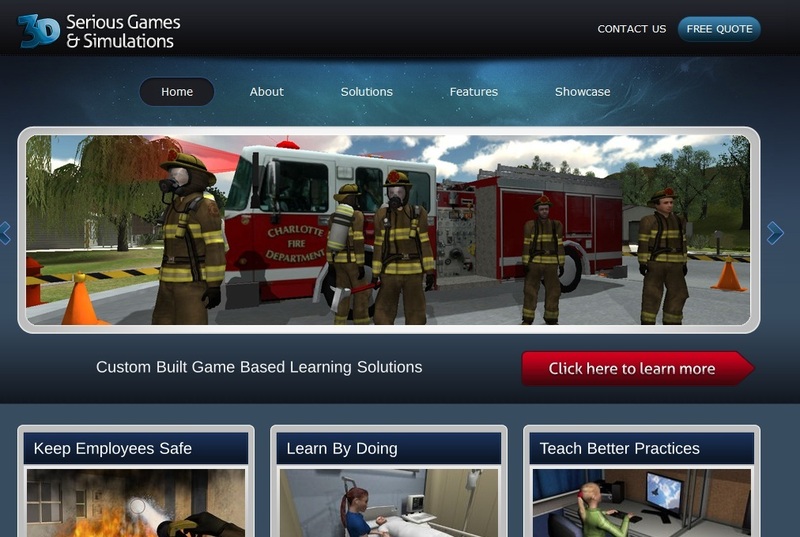 “We’re excited about the launch of this website and the ability it gives us to show potential clients the scope of the 3D Serious Game and simulation projects we’ve worked on,” says Andrew Hughes, President of Designing Digitally, Inc. Designing Digitally, Inc. is a full-service interactive design firm, e-learning developer, 3D simulation developer and serious games developer. Located in Franklin, Ohio, Designing Digitally, Inc. has developed a number of website, e-learning and virtual world solutions for companies around the country and the globe. Designing Digitally, Inc.’s overall goal is to add value to the clients they serve by helping to create a strong and professional brand image.